The Maritime Institute in Gdansk (MIG) is a R&D unit supervised by the Polish Ministry of Transport, Construction and Maritime Economy. It conducts applied research work in the fields of operational oceanography, marine ecology and environment protection, management of coastal and offshore areas, transport, etc. The first two draft pilot Maritime Spatial Plans (MSP ) and the first strategic Environmental Assessment (SEA) for MSP in Poland were elaborated by MIG experts. As a lead partner, MIG will oversee the project and offer its expertise in MSP/SEA in the Middle Bank / Pomeranian Bight as well as in MSP data management. It will assist in developing new tools (Boundary GIS) for transnational stakeholder communication for the Middle Bank model and based on SUBMARINER experience facilitate transnational dialogue on new marine uses (esp. aquaculture). The Maritime Office (MO) in Gdynia is one of the three regional maritime authorities of the state maritime administration. Among others it is responsible for drafting Maritime Spatial Plans (MSP)s and general management of the sea space within its area of territorial competence (includes the EEZ), including shipping safety, location decisions, Natura 2000 sites management, etc. The Maritime Office Gdynia will work in collaboration with the Maritime Office Sczeczin; as the responsible bodies they will participate in the overall MSP planners expert group as well as the Middle Bank / Pomeranian Bight models and organise a transnational stakeholder forum for both. MO Gdynia will also act as the coordinator for the shipping focused dialogues. The Maritime Office (MO) Szczecin is a regional organ of the Polish maritime administration, the central organ of which is the Ministry of Transport, Construction and Maritime Economy. The main tasks of the maritime administration include safety of navigation, management and coastal protection, maritime safety of ports and management of small ports and co-decision making in spatial development of the coastal belt. 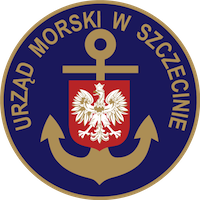 The MO Szczecin is the responsible body for Polish Maritime Spatial Planning within the Pomeranian Bight. It will therefore participate in the overall MSP planners expert group as well as the Pomeranian Bight model case, for which it will organise a transnational stakeholder forum. VASAB is an 11 country intergovernmental cooperation network on spatial planning and development in the Baltic Sea Region (BSR). Since 2001, it actively promotes Maritime Spatial Planning (MSP). Along with HELCOM, it has established the joint working group on MSP and acts as the EU Strategy for the BSR Horizontal Action Leader for MSP. Within PartiSEApate the Latvian State Regional Development Agency acts as the legal representative of the VASAB secretariat. VASAB will ensure the integration of Russian expertise into the MSP planners expert group as well as Estonian, Finnish and Danish viewpoints. It will be responsible for developing the PartiSEApate recommendations on transnational MSP development and the transnational MSP institutional and governance model. 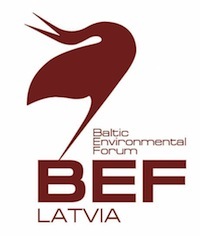 The Baltic Environmental Forum (BEF), with its experience as a neutral moderator in different stakeholder involvement and consultation processes, will act as a coordinator for PartiSEApate’s BSR stakeholder dialogue process, including development of the format and the methodology to be used in each workshop as well as the topics to be covered in each forum. BEF will also provide to the stakeholder processes in the three model cases, in particular guiding the transnational communication and consultation process. BEF will also be responsible for organising the Pan-Baltic transnational dialogue on Cultural Heritage within MSP. The Latvian Institute of Aquatic Ecology (LIAE) is a scientific institution under the supervision of the Minister of Environmental Protection and Regional Development. LIAE carries out research on Baltic marine issues and conducts marine monitoring. The Ministry of Environment recently gave LIAE the mandate to develop the Maritime Spatial Plan (MSP) for Latvia. LIAE will active participant in the MSP planners expert group and coordinate Latvian input into the transnational consultation process within the Lithuanian model case. LAEI will also act as coordinator for establishing the relevant dialogue platform with organisations and bodies responsible for environmental policy, including nature protection, throughout the BSR. CORPI is a research, planning and education unit within Klaipeda University. Its main fields of expertise are marine and coastal environmental impact assessment, biodiversity studies, environmental modelling and sensitivity, risk assessment, and geological/geophysical investigations. As experts on Integrated Coastal Zone Management (ICZM) and terrestrial and maritime spatial planning, CORPI was recently tasked with the extension of Lithuania’s National General Plan into the sea. In PartiSEApate, CORPI acts as coordinator for the Lithuanian model case (development of transnational Maritime Spatial Planning governance methods as well as interlinkage between national and local scales). CORPI will also assist on creating a dialogue with research bodies and projects and connecting to relevant flagship projects. 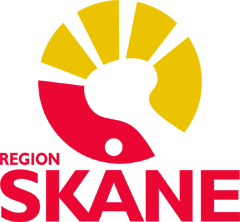 Region Skåne is the self-governing authority of Skåne, the southernmost county of Sweden. Sustainable development and strategical planning are priority issues for its department of regional development. Region Skåne has extensive experience working with shipping related topics through projects such as Baltic Master and the TransBaltic. Within PartiSEApate, Skåne will focus on integrating the local and regional perspectives into the Maritime Spatial Planning (MSP) process in Sweden as well as in the transnational Pomeranian Bight model case. For this purpose it will initiate appropriate stakeholder dialogue processes across the whole region. It will also establish the linkages with relevant flagship initiatives from South Sweden, especially on shipping, and will organise the dialogue on climate change issues. The planning department of the newly established Swedish Agency for Marine and Water Management (SwAM) has been charged with developing Sweden’s marine spatial planning. The agency as a whole is responsible for the Swedish implementation of the EU’s Marine Strategy Framework Directive and the common fisheries policy as well as coordinating work with the Water Framework Directive. It also coordinates Sweden’s efforts within OSPAR and is assisting the government in the HELCOM work. Within PartiSEApate SwAM will focus its attention on the model cases, integrating its expertise and the Swedish perspective within the overall MSP planners expert group as well as all three model cases. The Federal Maritime and Hydrographic Agency (BSH) is the responsible body for the Maritime Spatial Plans (MSP) of the German EEZ (North & Baltic Sea), adopted in 2009 and subject to updates in coming years. BSH is an active member in numerous transnational organisations dealing with MSP, such as OSPAR and ICES, and acts as deputy chair of the HELCOM VASAB Working Group on MSP. It is also the national contact point for maritime data within the INSPIRE network. BSH was lead partner of the recently concluded BaltSeaPlan project. BSH will offer partnership its key expertise in MSP and Strategic Environmental Assessments in general and in the Pomeranian Bight as well as in MSP data management. It will act as overall coordinator of the cross-sectoral dialogues, the general MSP planners group, the MSP data network development group and the Pomeranian Bight. For the latter it will develop new tools for transnational stakeholder communication. In addition it will coordinate the stakeholder dialogue process on offshore wind energy. With a staff of almost 700, the Institute of Marine Research (IMR) is Norway’s largest centre of marine science. Its main task is to give advice to Norwegian authorities on aquaculture and the ecosystem of the Barents Sea, the Norwegian Sea, the North Sea and the Norwegian coastal zone. The Institute participated in the development of the Norwegian “Integrated Management Plans” for the Barents Sea, Norwegian Sea and North Sea. The Institute will participate in the Maritime Spatial Planners Expert Group, providing key input particularly regarding the implementation of the ecosystem approach as well as cross-border consultation with Russia. The IMR will also provide key expertise in the preparation and analysis of single/cross-sectoral stakeholder workshops (especially aquaculture, fishery, data, climate change, environment and research). It will seek participation of Norwegian stakeholders in the workshops.